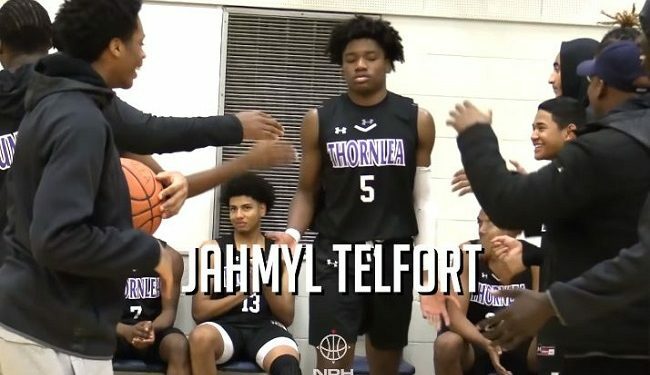 Jahmyl Telfort has been gradually inclining over the last two high school seasons. The 6’6 forward from Montreal has been getting interest from various levels at the NCAA and gaining traction at mid-high major level. Telfort’s versatility has made him shoot up the charts at North Pole Hoops in the 2020 Canadian class. Size for position, skill set on the wing, athleticism and playing hard on both ends of the floor are area we can check off. As he continues to expand on his offensive skill set, Telfort is going to be a potent weapon at the highest level. Fredericton High: Undefeated Season 40 Years in The Making! OUA First Half Recap: Carleton, The West Division, and Much More to Come!